today I write to you on behalf of my son. Telling him about all my outdoor adventures has rubbed off on him, even if he's only a mere two and half months old. He communicated to me that he'd like some outdoor garments as well, so that he can accompany me outdoors. How great is that, Santa? My son wants to go outdoors with me, I'm such a lucky dad! So I set out to find out about high quality gear for babys and kids, which isn't easy, let me tell you. 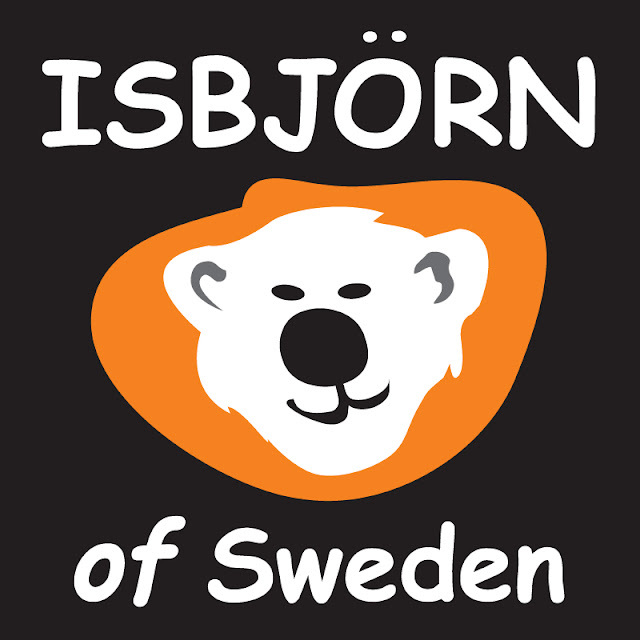 Imagine my relieve as I found Isbjörn of Sweden, who make great garments for babys and kids - I almost wish they'd make garments for adults as well, so functional and thought-out they are! Take their Rib Jumpsuit, for example: Made of 100% recycled Polartec fleece it is supersoft and keeps the little one nice warm in spring, autumn and mild winter days; the zipper is easy going, opens completely for easy dressing and has a stormflap behind it, to avoid cold spots. An adjustable hood lets him keep a warm head and look like a little ninja, add in great flexible socks & gloves and that it comes gorgeous colour combinations, and I am sure my little one would love to get it, and go outdoors with me - staying comfy and warm while we enjoy a beautiful winter day! Leave a comment with the name & birthday of your little one (Birthday = e.g. End of March 2011 = completely fine, no need to post the exact date if you don't feel comfortable about it). Expecting outdoor parents are welcome to participate as well - leave a estimated date + "code name" =) You got till 23 o'clock Finnish time to enter! Isbjörn of Sweden sizes are large. My two and half months old son (now 64 cm long) wears his own Rib Jumpsuit in a size 56/ 68 cl with room to grow in, and I'm sure he will still be wearing it next spring. I'm sorry about that the colour is a bit off in some of the photos - the last one and the photo of the hood best show it (difficult to take good photos when it's just grey and rainy outside). It is a really great colour, though, and would fit both a girl or a boy. Hei everyone - congratulations, you're all winners with having (and soon getting) babys and kids! However, there can only be one winner of the Rib Jumpsuit. And the winner is... Viorel Z - Congratulations! Please contact me via Email, you got till tomorrow 15 o'clock to get in touch otherwise it goes to the second in line! Thanks everyone else, see you tomorrow at 6 AM!